For as long as I can remember, my cousin Miguel (now better known as Moya to the general public) has always had an entrepreneurial spirit in him (His entire family does – who am I kidding!). I remember back in the day — generations ago! — when I’d go over to play at their house with his sister Amina, we’d run and hide in her room to avoid anything that Moy was trying to sell to us. It might have been a ploy to crash and throw out our Barbie dolls; I’m not quite sure. But I do remember the part about the selling. I will flash forward through several decades into college and thereafter when, even then, Moya had some form of business year in and year out. At one point it was mixed CDs with unique cover designs; at another it was some cheese puff balls — or were they fries? I can’t quite remember. There were other food carts too over the years, and other businesses too in other industries. But food was always the mainstay. He’s got a passion for it, and a knack for finding something that will click. I always bought whatever it was he sold. For a while there we lost touch as we both spent years out of the country (Moya was in and out and everywhere about! ), but finally I caught my cousin again a few months ago. We caught up and exchanged info about our latest ventures. 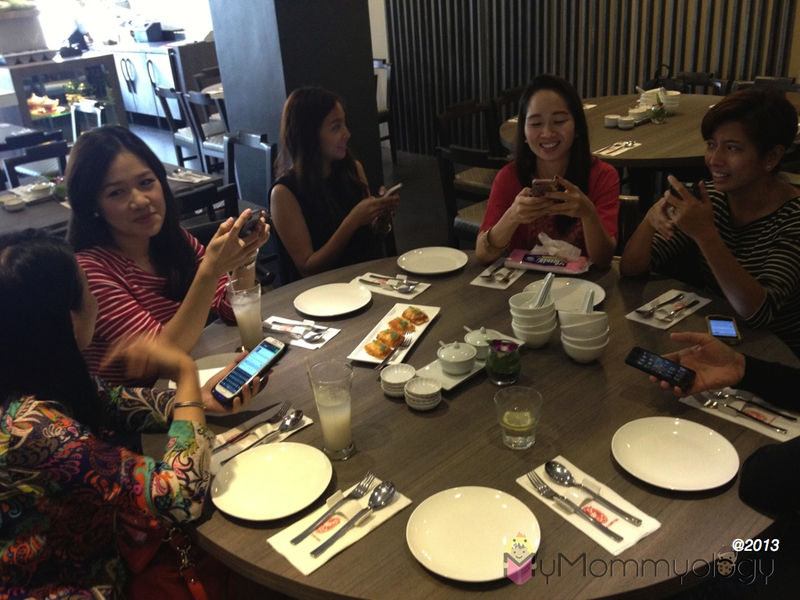 At the end of it all, we scheduled lunch at Boon Tong Kee one weekday with the #SoMoms. 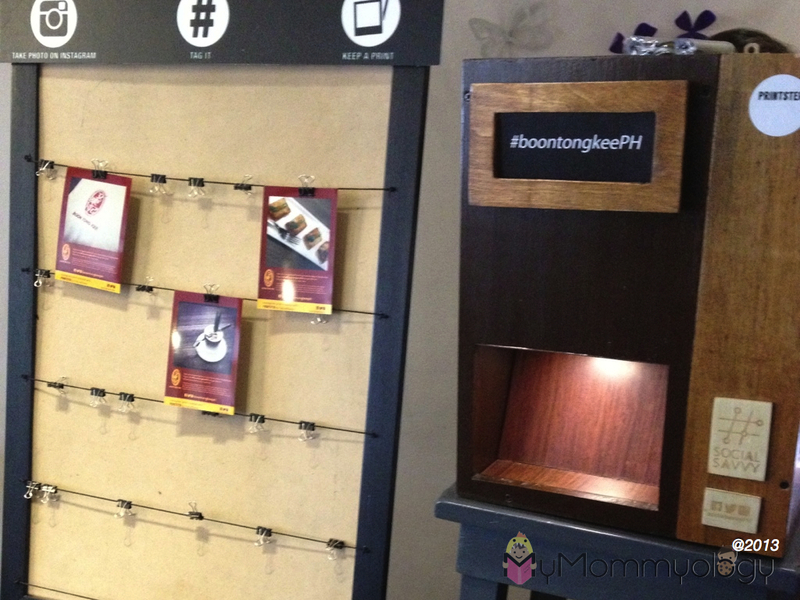 By now you may have heard of Boon Tong Kee’s three branches in Metro Manila — Mall of Asia, Rockwell and their most recent, Tomas Morato. Very soon they’ll be opening a fourth branch in the UP area, a sign of the resto’s success and popularity amongst us Pinoys who love good food. When I asked Moy, now the Marketing Manager of the brand’s first overseas franchise, why they thought of bringing it into the country, he said it was a staple in almost all of their many visits into Singapore. When he had permanently moved back into Manila, he just couldn’t imagine a day (or a night!) without it. I’d never tried it before, but I’d heard really good things about it, even from my husband (who, I only recently discovered — had Boon Tong Kee as a staple too during his one month assignment in Singapore eons ago). I’m glad that Moy convinced owners (and relatives) Joy and Michael Rodriguez to franchise and set up shop here. Together with their operations manager Inigo Alvero and trusted staff, the group immersed themselves training in Singapore, learning about the different dishes that the resto had to offer. Today you’ll find all of them in the three branches on a regular basis, ensuring that the quality of the service, the food and the entire experience is every bit authentic. In fact some of the ingredients still directly come in from Singapore! Moya put out a feast for us hungry mothers (I made sure I went to Crossfit before then so I had an excuse to eat more!). It was like a 10-course meal smorgasbord. I ate everything in sight, but the ones that I had 2 or more servings of (yes, I will admit) were the Prawn Toast on Mayo, the Cereal Prawns (with Pork Mahu! 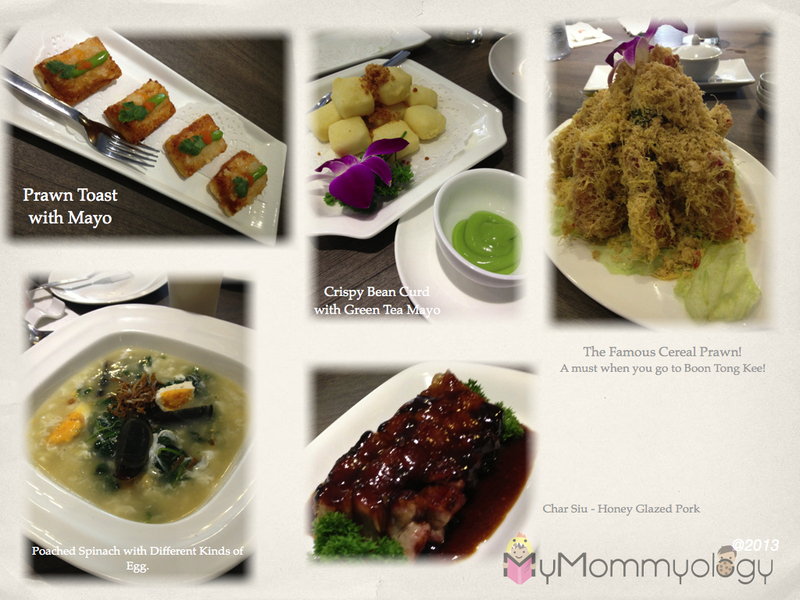 ), the Crispy Bean Curd with Green Tea Mayonnaise, the Poached Spinach with Different Kinds of Eggs, and the newly launched Char Siu Honey Glazed Pork. My Personal Favorites. Will go back for these! For dessert, I particularly loved the green tea creme brulée. We had a lot of different kinds to taste and try, and once I had taken a spoonful out of the creme brulée, I actually did not give it back. 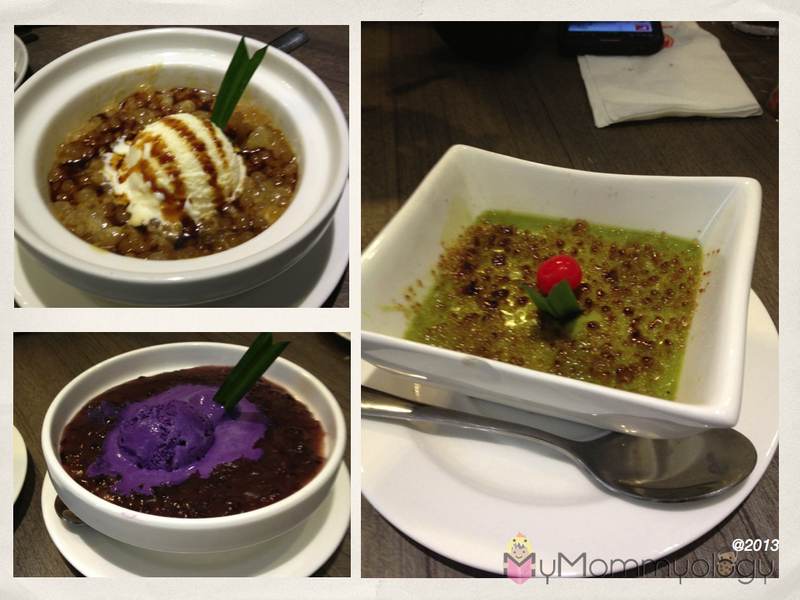 Clockwise: Sago Gula-Melaka, The Green Tea Creme Brulee and a Taro Pudding dish. Yumyumyum. And knowing my cousin, he also made sure it was not just your typical luncheon and get-together. He had also brought along the other business he set up with his youngest sister Rosanna. They call it Prinster, an instant photo printer for your Instagram photos. This is quite popular nowadays during parties and events. It reminds me of the polaroid snapshots in the olden days, except this one is linked in to one’s social media. All you have to do is snap a photo and upload it onto your Instagram account. Use the assigned hashtag for the event and Prinster will automatically print out a copy for you. (Note: make sure your settings for Instagram are public). 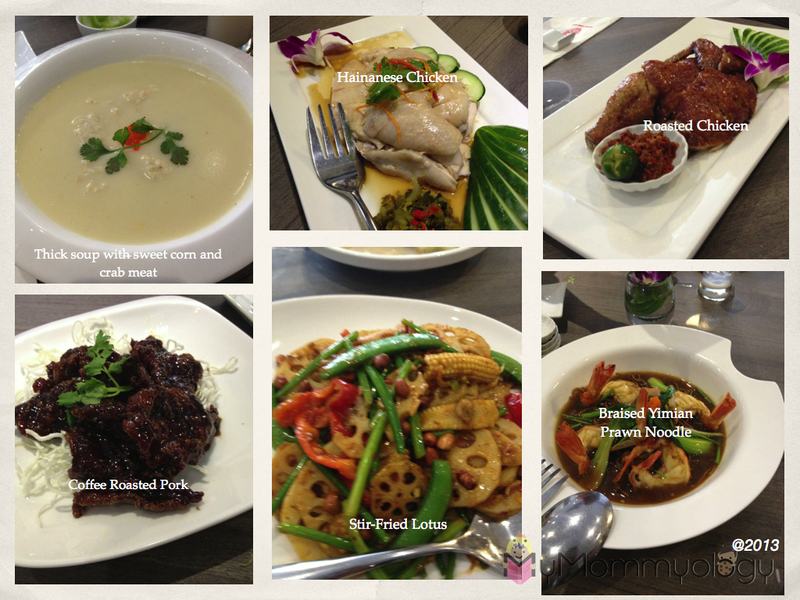 And of all the photos of the food, I don’t have one of Moya and the folks behind Boon Tong Kee! Haha. Silly me. But over-all it was a good lunch. And it was quite refreshing to catch up with my cousins. There are such a few of us here on that side of my family and I rarely do see them. So it’s nice to be able to mix a little bit of it into what could have just been a regular lunch day.